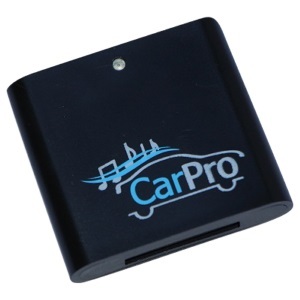 The CoolStream CarPro is the Bluetooth adapter for other Cars and Motorcycles. Make the old 30 pin iPhone 4 cable in your other Cars and Motorcycles (cable NOT provided by CoolStream) useful again by using CoolStream’s latest Bluetooth adapter, the CarPro. It is specifically designed to support music streaming from mobile devices, such as iPhone 7 or iPad Air, to your other Cars and Motorcycles. Questions? See the CarPro FAQ or use the Contact Form to send us a specific question. We would love to hear from you. The CoolStream CarPro plugs on to the 30 pin old iPod / iPhone Y cable. 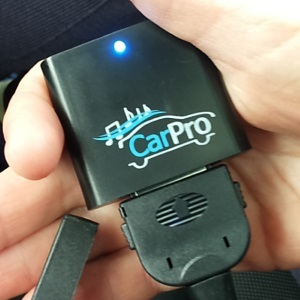 When you turn on your Car or Motorcycle, the CarPro automatically powers on and is ready to pair with your phone, iPhone and Android phone. Bluetooth receiver with 30 pin connector. Plugs into your Car or Motorcycle 30 Pin iPhone iPod cable for Bluetooth music streaming. Bluetooth version 2.0 + EDR complaint, CSR BlueCore 5 Bluetooth module.